So think about that for a second… Beyoncé has the same number of hours in a day that you do. Ok, so most of us don't have Beyoncé money or her staff but neither did she in the beginning. Building success is about mindset and habit building is a mindset decision! While this is totally true, we all definitely do not use those hours in the same way. Honestly, the way in which hours are spent is the main difference between those who live fulfilling lives (and run successful businesses) and those who don’t. My mentor, Aaron Anastasi, used to say to me, “How you do anything is how you do everything”. While you may feel like you can squeeze in a Netflix binge, hours of social media scrolling, your overflow of work, AND some quality time with the kids – – you can’t. Multitasking is a nasty thing that we are trained to praise. However, the truth is you cannot do anything 100% if you are attempting to do other things at the same time. Quality work and meaningful connections simply aren’t going to happen when you’re zapped of energy and spread too thin. Want to know something interesting? Most of the time, you only feel zapped and stretched because you aren’t managing your time effectively. You can actually fit way more into your day than it seems; you just aren’t utilizing your time in a way that allows it. There’s no way around it. We look at these people who are highly productive and wonder how they achieve all they do. You might even feel the sting of jealousy when you admire all they’ve accomplished. I mean, how in the world can she run a super successful six-figure business and still have time to connect with her family every night? But there’s a secret (and I’m letting you in on it)! Highly productive people create habits around the actions they want to take. There’s nothing superhuman about it. They work hard to weave positive habits into every aspect of their day. They manage their time efficiently because they’ve made a habit out of doing so. Whether they depend on a detailed morning routine, block their time for important tasks, or something as simple as spending 30 minutes every single day marketing their business across social media channels, their habits are the key. Successful time management creates real balance and it leads to freedom! As I rolled into the new year I made a brand new commitment to myself. 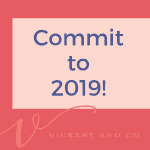 This new commitment was a big one for me and it felt almost impossible and yet, strangely important. What is this new commitment you ask? 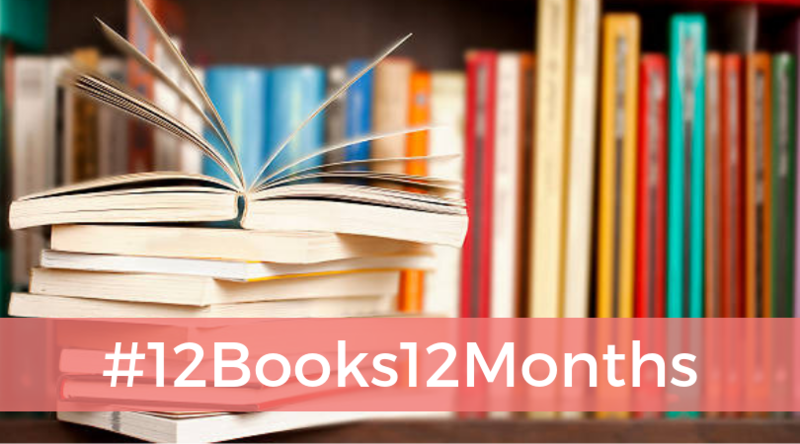 I decided to join the #12booksin12months challenge. This means I selected 12 books that have been growing dust on my shelf and committed to reading one book each month. And I have been working diligently to build the proper habits to follow through with this commitment. It was as if my soul knew I needed this. And besides, almost every truly successful person I know is an avid reader. I mean, have you seen this list of books Barack Obama read in 2018?! I believe that learning is powerful, and reading is learning. This was something I truly wanted to do and I started to believe it was something I could do. But I knew it wouldn’t be possible without some new habits and a lot of intention. So I set to work identifying what habits I wanted to change to make way for the new ones. First, I decided to keep a book on hand and whenever I had a few minutes to kill I would read rather than scroll through social media. This has worked shockingly well. Second, I committed to reading, at least a little bit, every single day. Then I decided to take things a step further and hold myself truly accountable by announcing I’d be doing a video for each book review! Now I knew I was in it to win it. I went on YouTube and told the world, “I am reading these books and then I will share my thoughts with you!” Here is my intro video explaining what I am up to and why! Interestingly enough, one of the books in my 12-month challenge was The Power of Habit! You will hear all about this book in the February video review, but I can tell you – – I learned a lot about building (and changing) powerful habits! Some habits are easily formed. Take remembering to water your houseplants, for example. You may not think about it the moment you get home, but if you leave the watering can next to the kitchen sink you have a better chance of remembering! Use that same example and think the habits you want to build throughout your day. How many easy solutions are there for creating habits like this one? The same tactic works for me with reading. Anytime I had a few minutes free and the urge to pick up my phone and scroll through social media popped up, I would pick up my book. You want to start taking a healthy snack to the office, so you prep it the night before and leave a note on your bag for the next morning. Want to start turning off your electronics an hour before you head to bed? Set an alarm on your phone as a reminder. These are simple habits. They may not come naturally at first, but they have easy solutions you can implement immediately. These would be things like time blocking your days to produce content more effectively, quitting the constant email checking and creating boundaries for your own sanity, or ditching the distractions of social media. Changing your habits in these areas is going to require a more dedicated approach. One way I’ve discovered to make a habit truly stick is to dive deep when planning it out. Instead of just deciding which habit you’ll work on, you will decide when, how, and where you’ll do it. I’ve found it’s better to complete the activity at the same time and in the same place every time. It’s kind of like brushing your teeth every morning. You wouldn’t leave your toothbrush in the living room, would you? You keep it near the sink where you brush your teeth. The same thing goes for every other habit you form. Decide where it makes the most sense, and commit to repeating the action for as long as it continues to move you closer to your goals. I suggest checking in with your habits as often as you check in with your commitments. 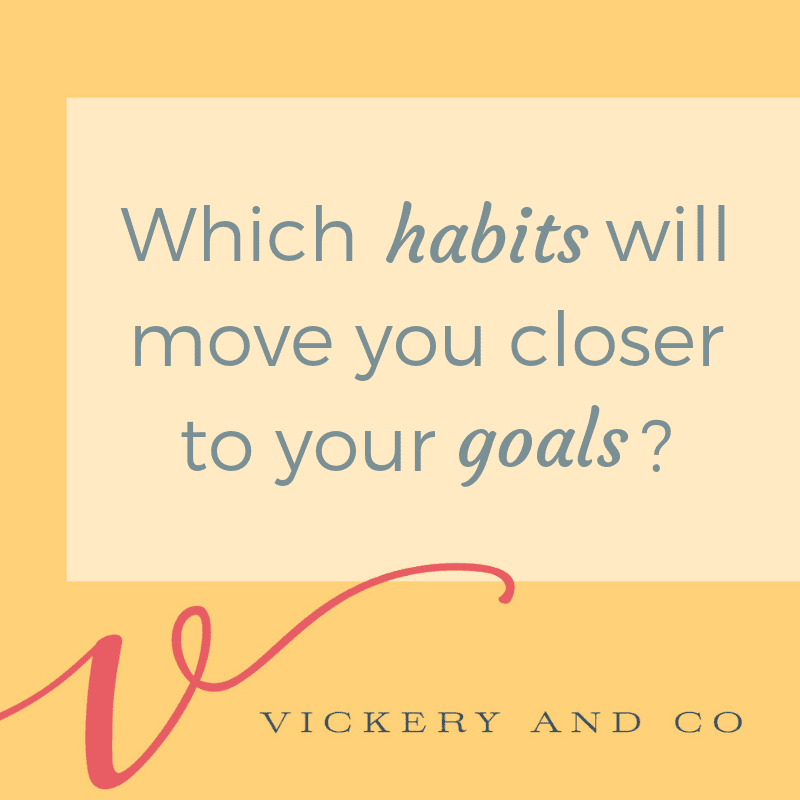 Are your habits moving you closer to your goals? Are they serving you? I have a client who struggles to drink enough water throughout the day. She knows it makes her sluggish and less healthy but she simply cannot seem to drink enough water. I also know she loves a good reward, even something as small as a sticker! So we created little stickers for her to put up for each cup of water she drinks. Seeing those stickers makes her excited and proud and it motivates her to drink more water! Check in on those habits and build in a rewards system to go along with it! Positive habits are not built overnight, as nice as that might be. When I desire to start a new habit, I make sure to track it. I personally find tracking my habits exciting. It's a powerful reminder that I am doing the thing and my clients tend to agree (even if they protest a little in the beginning). Another fun tip – – This works with goals and habits! Where and when will I complete this? Have I done as I intended daily? Am I getting the desired result? Actually, I have a tracking sheet that I use to literally check my habits off as I complete them. It’s a daily assessment, and it’s one that makes all the difference in terms of real growth. Even after years of completing this exercise, it feels rewarding to see those check marks build up. I’ll tell you, knowing you’re on the track to living life the way you want to is a powerful feeling. It truly can change your entire perspective! Pick one habit, one thing that you know will move you further down the path toward your goals. Whatever it may be, make an intentional commitment to it and track it for a month. You can use this worksheet to keep tabs on your progress. Believe me, you will see a payoff. Before you know it, this action will be second nature. And don’t forget to plan out a reward for keeping up with this new habit for a month! Rewards are serious motivation. I promise you, hard work does pay off!